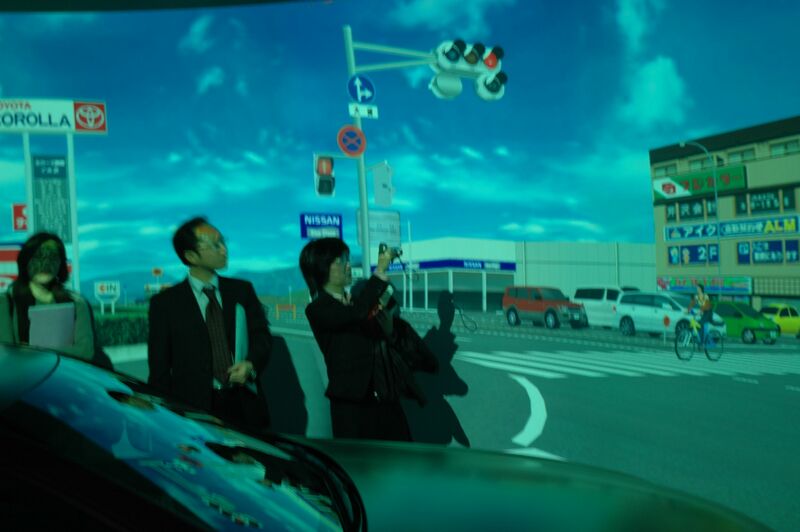 Rummaging through my iPhoto, I came across some photos of my trip to Toyota’s Higashifuji Technical Center in Susono City, Shizuoka Prefecture, Japan, to check out the company’s driving simulator, which they claim to be the world’s largest and most advanced. Driving simulators are important for one main reason: They allow you to test things — from new car technologies to over-the-counter meds — that you wouldn’t be able to do safely on the public road. I’m a bit of a driving simulator geek, having dodged debris falling from a truck on an Iowa road (it was part of a test of electronic stability control; and yes, it works) at the National Advanced Driving Simulator, frightened my minders with a vexing wrong-side-of-the-road drive (I realized how hard it is to shift with one’s left hand) at the TRL labs in the U.K., and had various other simulated drives elsewhere, in government and academic research facilities. 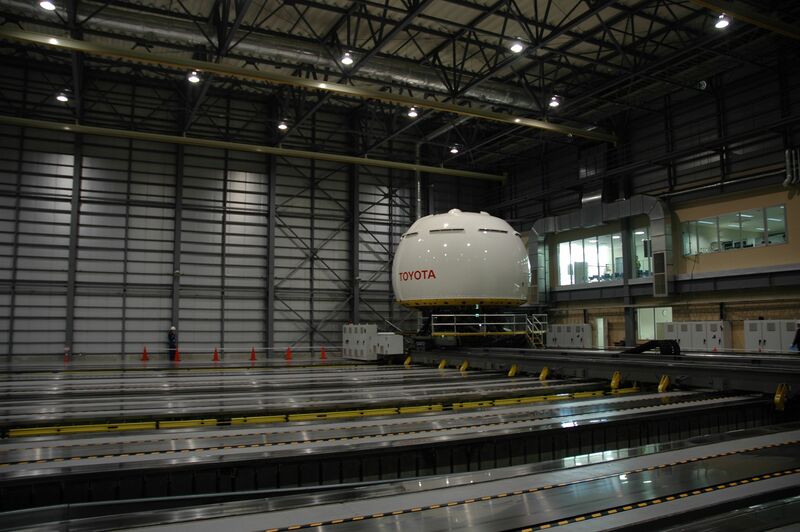 Both Toyota and NADS are pretty incredible — to recreate the feel of driving (which is said to be harder to recreate than flying), the capsule-like module, pictured below, must physically move around the vast hangar space. When you brake, it tilts forward; when you reverse, it tilts back. The tactile quality is convincing; one feels things like the gravel on the shoulder of the road. 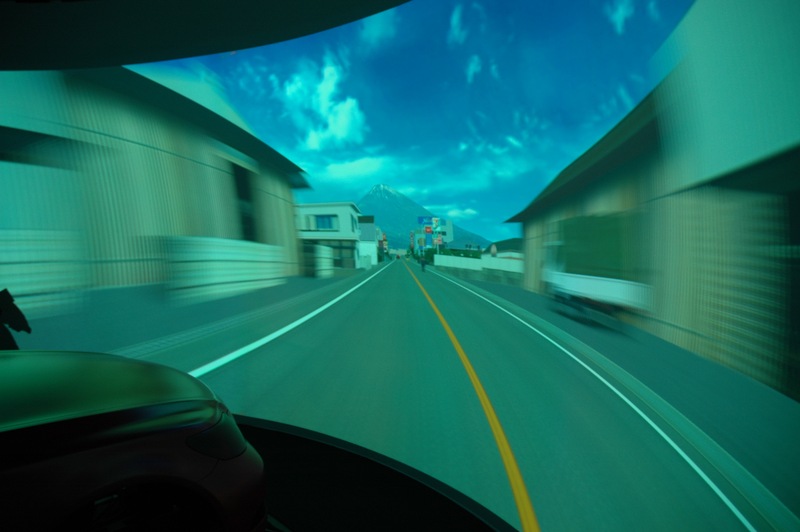 One of the hazards of the driving simulator in general is so-called “simulator sickness,” due to the mismatch between your inner-ear sensations and what your eyes are seeing. I experienced a touch of it at Toyota, perhaps because I was the passenger in the vehicle (or maybe the way the driver was driving). But compared to the less sophisticated models, the ride is smooth. 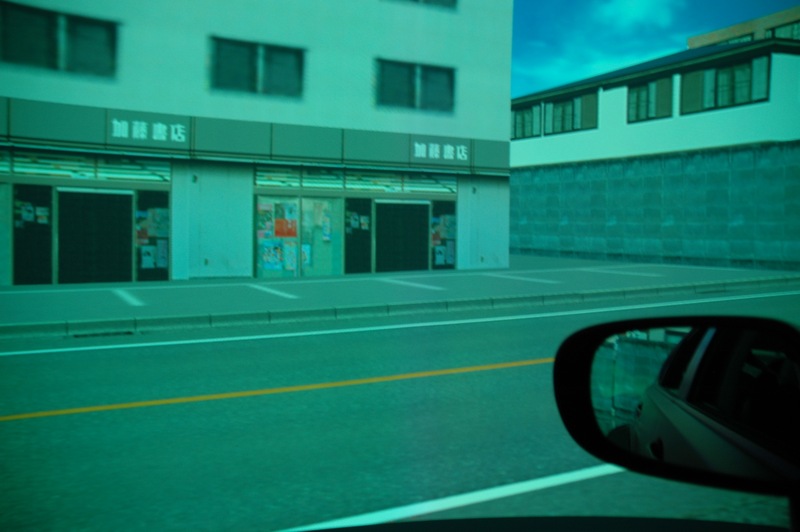 It was strange to look in the rear-view mirror and see the simulated environment receding. I spent a lot of time simply examining the rendered landscape, the architecture, the vernacular signing, noticing small details like the cyclist in the crosswalk. It is hard to go far in Japan without stumbling across some representation of the myth-drenched Mt. Fuji, as in this noodle shop in Tokyo. Which is why I was delighted, if not totally surprised, to see Mt. 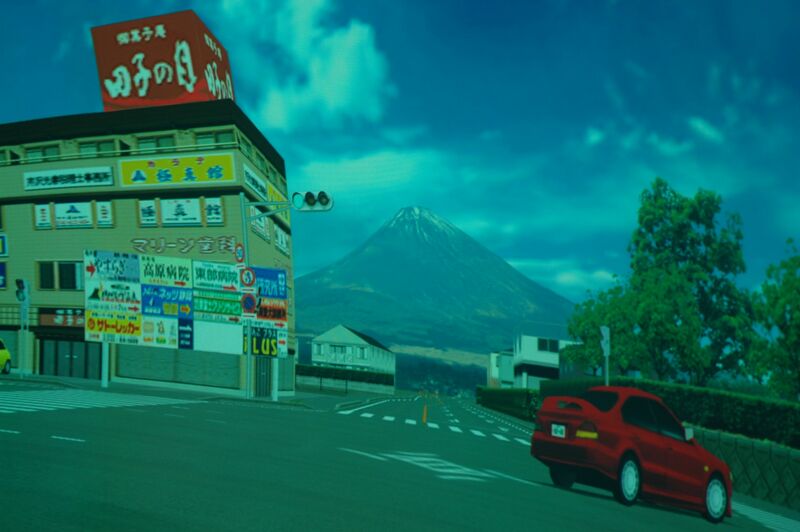 Fuji hovering in this pixellated landscape. It seemed to loom everywhere, recalling Roland Barthes’ declaration that the only place from which one could not see the Eiffel Tower was from within the tower itself. As fast as we drove, we seemed to get no closer. 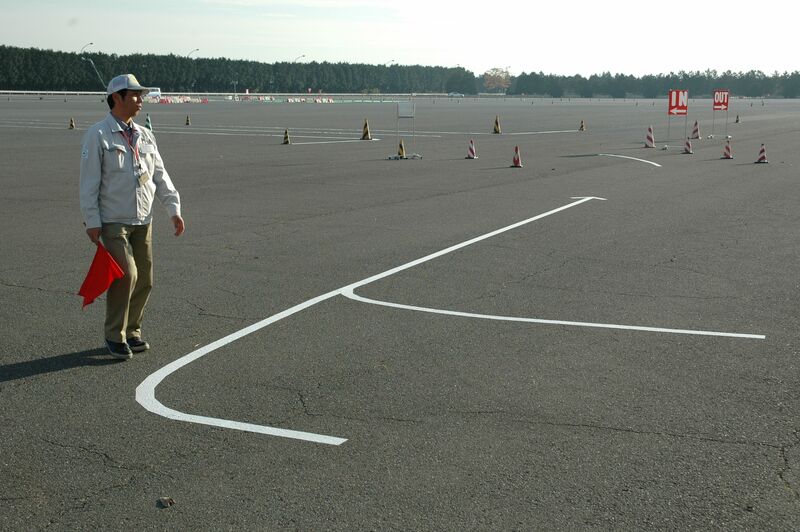 Afterwards, I spent some time on the vast proving grounds, set up for the pilot test of an automated car. Comments Off on 36 Views of Mt. 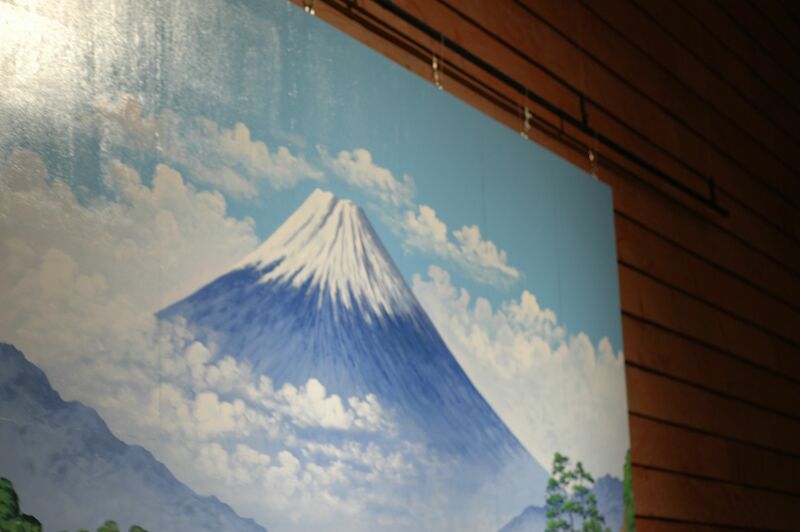 Fuji (and a few more). Click here to leave a comment. For drivers, there are warning signs, lights, zigzagged lines and colour codes, all telling drivers to be careful, that people may be crossing ahead. But sometimes drivers become so inured to this street “furniture” they forget to look for people crossing — they forget what it’s there for. And a 1970 study by the Institute of Transportation Engineers Journal looking at San Diego accidents found incidents were twice as likely at “marked crossings” as unmarked crossings. Why? Pedestrians lose a sense of personal responsibility – they think that because they are at an official crossing, they don’t need to look where they are going. And then they step out into oncoming traffic. First of all, is a 1970 study really the best reference? That study, by Bruce Herms, crops up a lot in the literature — but so do charges that its findings were not valid, or have not always been reported properly. And the idea of pedestrians losing their sense of “personal responsibility,” while having certain grains of truth, is overshadowed by the larger safety issue, as actually measured, of cars not stopping at marked crosswalks, as required by law. Haven’t they lost their sense of personal responsibility? There are other issues; what I call the “Frogger effect”: On marked crosswalks that stretch across more than two lanes, one driver may stop, encouraging the pedestrian to cross, but the driver in the next lane does not stop, and does not see the pedestrian, who may be in a blind spot caused by the stopped vehicle. As an aside, if you can get your hands on it, Joe Moran’s piece, “Crossing the Road in Britain,” in The Historical Journal, is a fascinating piece of cultural history. As a further aside I’ve always enjoyed this bit of marked crosswalk behavior. Comments Off on Crossing the Road in Britain. Click here to leave a comment. I was intrigued by two recent news items. Calling texting while driving a crime, a judge Tuesday ordered a Tremonton man to spend 30 days in the Cache County jail as part of his sentence for two counts of negligent homicide. Reggie Shaw was 19 when his Chevy Tahoe veered into oncoming traffic on State Road 30 near Logan, causing the deaths of Cache Valley residents Jim Furfaro, 38, of Logan and Keith O’Dell, 50, of North Logan. Though Shaw told Utah Highway Patrol Trooper Bart Rindlisbacher at the scene on Sept. 22, 2006, that he had not been texting, subpoenaed cell phone records show Shaw and a friend exchanged 11 text messages in the moments before the accident, according to Cache County Prosecutor Don Linton. A Woodbridge man who drove the wrong way, drunk, on Route 1 last year and slammed head-on into another car at 96 mph, killing the driver, was sentenced to 15 years in prison yesterday by a Fairfax County judge. We have here two cases of driving in the presence of activities shown to cause impairment. In both cases, people died. Yet the sentencing gulf between the two cases is huge. One obvious difference is that texting while driving has yet to be made an actual crime (though I predict it increasingly will be), and I imagine this must influence the sentencing; I am not sure what the usual sentence is for “negligent homicide” — but then again, isn’t a DUI-caused fatality also a “negligent homicide”? How would we feel about a 30-day sentence with some community service for a drunk driver who killed two people? Perhaps the ages of both perpetrators also came into play. But one has to wonder about the major discrepancy in sentencing. Comments Off on 15 Years, 30 Days. Click here to leave a comment.